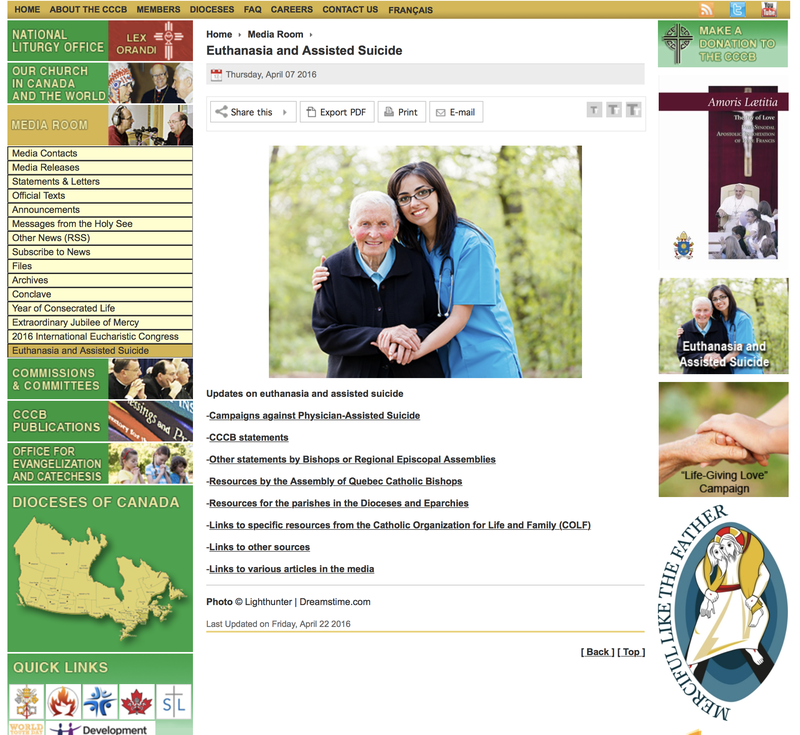 The webpage of the Canadian Conference of Catholic Bishops (CCCB) on euthanasia and assisted suicide has been revamped to be more accessible and facilitate research. The new web page offers links to: CCCB statements, resources from the different Regional Episcopal Assemblies; five major campaigns against physician-assisted suicide; resources for parish communities; resources of the Catholic Organization for Life and Family; and a number of other articles and media reports. The Special Joint Committee of the Government of Canada on “Physician-Assisted Dying” made some remarkable recommendations for the legislation. Among the committee’s conclusions were recommendations for making assisted suicide available to adolescents and children who might be considered “mature minors.” As well, the committee recommended that psychological suffering be included in criteria for eligibility and that all health-care practitioners must at minimum provide “effective referrals” to those who want to kill themselves.